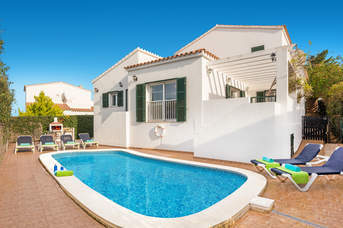 Addaia is set on the North East Coast of Menorca. A smart, mostly residential resort, Addaia is well-known for its stunning, sheltered port with beautiful scenic farmland bordering the harbourside. The area is popular with hikers and cyclists with some well-established routes in the area.Addaia is set on the North East Coast of Menorca. A smart, mostly residential resort, Addaia is well-known for its stunning, sheltered port with beautiful scenic farmland bordering the harbourside. The area is popular with hikers and cyclists with some well-established routes in the area. Addaia has a small selection of restaurants, one which is particularly popular set on the harbour’s edge with fabulous views out over the water. There are a couple of other restaurants and bars within the resort. Plus, the popular Blue Dive Centre offers scuba diving and snorkelling facilities where you can get to see the resort from a completely different angle. The neighbouring resort of Arenal den Castell is just 5 minutes away by car with a larger selection of restaurants and bars, and a beautiful horseshoe bay of fine sand with a wooden promenade running alongside the beach area. In between Addaia and Arenal den Castell lies the pretty hamlet of Na Macaret with a restaurant and a pretty sandy cove. Further along the coastline is Son Parc perched on a rocky outcrop with a large sandy beach and an abundance of fragrant pine trees. The resort also has the islands only golf course. 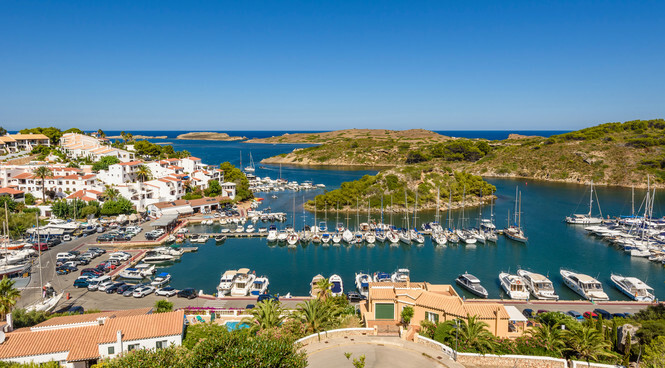 The pretty natural harbour of Fornells is around 15 minutes’ drive away with an abundance of restaurants and bars, plus water sports. The capital, Mahon, is 25 minutes away by car.